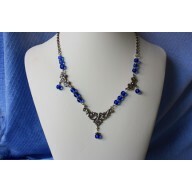 This is a stunning and very special necklace. 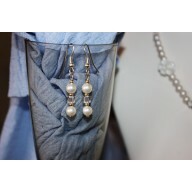 The 10mm white Swarovski pearls are mi.. These earrings match the necklace perfectly. A 12mm clear Swarovski crystal starts these earrings..
For those who love flowers, here is a beautiful mother of pearl morning glory necklace. .. 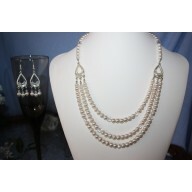 The matching earrings are a perfect match to this necklace, they measure 2 inches long. 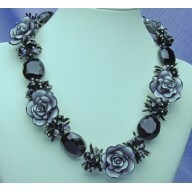 There are..
Black Beauty is that one of a kind gorgeous vintage romance necklace. It’s really hard to write a.. 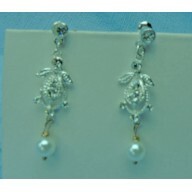 The earrings are made with the small cloisters of 6mm black Swarovski crystals, small black spikes a.. 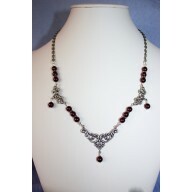 This is another vintage piece, showcasing the Victorian art nouveau pendants. It’s p.. 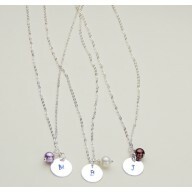 Here is the perfect necklace for your bridesmaids party. The chain is sterling silver and can ..
Bridgette is so beautiful and delicate, all your little ladies will love wearing it. A ..
Brookhaven has a little bit of everything. 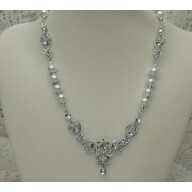 This necklace is a stunner! There’s vin.. 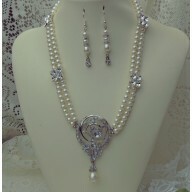 The matching earrings are a perfect match to this necklace. 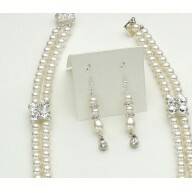 There are two 6mm ivory pearl separated .. 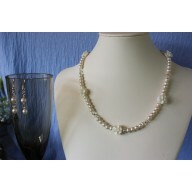 This necklace combines two wonderful elements, pearls and rhinestones. It has .. 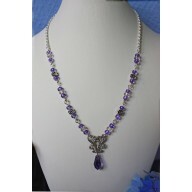 This is another vintage piece, showcasing the Victorian art nouveau pendants. It’s perfect for.. These earrings match the necklace perfectly. 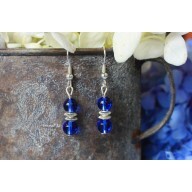 There are two 6mm blue glass beads sepa..
Charleston is another unique bridal set. 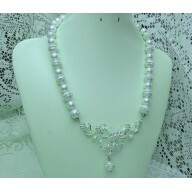 It starts off with a single row of Swarovski pearls a..